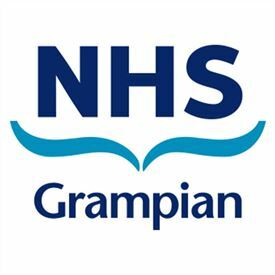 NHS Grampian, which is one of the 10 principal Health Boards in Scotland, provides healthcare services to the North-East of the country, covering the local government areas administered by Aberdeen, Aberdeenshire and Morayshire Councils. We employ around 17,000 staff who deliver our services to half a million people spread across 3,000 square miles of city, town, village and rural communities. We have extremely close links to the University of Aberdeen (with its internationally renowned Medical School and new Dental School) and Robert Gordon University. These close links have made us a centre of pioneering medical research in a number of fields. Aberdeen, as a major Scottish city, is where most of our hospitals are located. Elgin in Moray, is the site of Dr Gray’s and the principal general hospital is in the west of Grampian. In addition, there are a further 14 community hospitals, situated in each of the main towns. There are no jobs with NHS Grampian at the moment. Sign up to email alerts below to get notified when new jobs are added. Get the latest jobs from NHS Grampian sent direct to your inbox!